Lydia needs to hide from her ex-boyfriend and has to leave as soon as possible. She’s found the perfect place, a ranch in Montana where she can work as a nanny. Lydia loves children and she's sure she can make this new career move work. Lydia’s new boss, Jon, isn’t so sure Lydia is the right candidate for the job though. He doesn’t want a city-girl to look after his five-year-old twins. He thinks Lydia will be too high maintenance and that would hurt both him and his daughters. Can Lydia convince Jon she’s the right woman for the job and will she be able to lighten his bad moods? Lydia feels at home at Jon’s ranch. She does everything he asks of her and more. Lydia has a lot of work experience, gained at a large variety of useful jobs, and she’s perfectly at ease managing Jon’s household. The twins have a reputation, they made things difficult for the last few people who looked after them, but Lydia knows exactly what to do to make them feel loved and secure. Is she the best thing that could have happened to Jon and his daughters? What will happen when Lydia's past catches up with her, will she lose everything she’s come to hold dear? The Rancher’s Twins is a wonderful romantic story. Lydia is sweet, capable and smart. She doesn’t know how charming she is and that’s a quality that makes her endearing. Jon is difficult to read at first, he’s grumpy to her most of the time, but he has his reasons. Lydia has to put in a lot of effort to win him over and I was curious to find out if he’d see how lovely she is eventually. They have plenty of chemistry and it’s clear from the start they would be perfect together, but there are many obstacles to overcome. Jon has his adorable little girls to think about for example. The twins are really cute and reading about them put a big smile on my face. Lydia connects with them straight away and I kept hoping she'd find her place at the farm. Discovering if she would be able to solve her problems kept me glued to the pages. Carol Ross has a delightful heartwarming writing style. I loved how she makes the people she writes about come to life. It’s clear she’s incredibly fond of her main characters and that makes the story absolutely amazing. She combines this with a stunning setting. Her thorough descriptions are fabulous and I could easily picture every single detail of the ranch and the animals that are walking around there. The Rancher’s Twins is a fantastic story with plenty of beautiful love and some terrific suspense. I highly recommend this captivating book. If you love countryside romance with beautiful settings and amazing main characters you don't want to miss The Rancher's Twins. I always read the dedication before I start a story. I love them. Funny, sad, inspirational, sweet, unoriginal, it doesn’t matter. I even like the cryptic ones that make you wonder who is this special person, or people, the author is thanking? What role did they play in shaping the story or the author’s life or career or coffee? 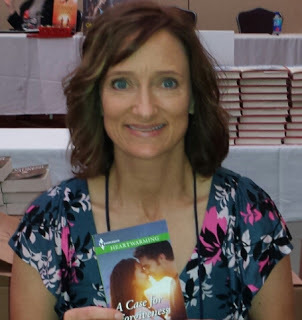 Before I became a published author I used to ponder who I might dedicate a story to and why. 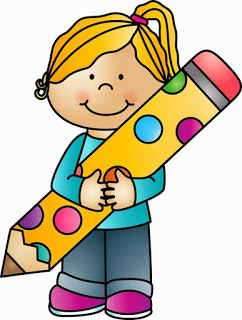 It’s funny, now that I write books, I see how it’s almost always such a natural byproduct of that book, either in the inspiration, the research, or in the plotting process. I usually know exactly who I’ll dedicate it to and why before it’s ever finished. And it’s one of the aspects about writing that turned out to be even more fun than I imagined. Almost always, that is. There was the time my publisher made a mistake and turned the name “Jaret” into “Janet.” The dedication was for my nephew, who was just a little guy when I was offered my first contract. 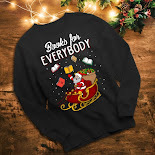 I had considered using a pen name and was discussing options with my sister and her family when Jaret chimed in with something along these lines, “But, Aunt Carol, if your name isn’t on the cover how will anyone even know you wrote it?” Well, that sealed it for me and I knew that someday I’d dedicate a book to him. But it had to be the right one. Fast forward to book number eight where the dedication was supposed to be, “For Jaret, Thank you. Without you, no one would even know it was me who’d written this book.” When the book came out it read, “For Janet,” instead. Disappointing for sure, but I know stuff happens. Now it’s a fun story to tell. And what makes it even funnier is that my mom’s name was Janet, so my family was very confused. Working with my four best author friends on the Return of the Blackwell Brothers series made the “who” in the dedication for The Rancher’s Twins the easiest one of all. The words, though, not so much. Writing a multi-author continuity series was a dream come true. Writing it with these four women, Cari Lynn Webb, Melinda Curtis, Amy Vastine, and Anna J Stewart was an unqualified blast. It’s too difficult to describe how much these ladies mean to me, how their talent awes me, their work ethics inspires (yes, and shames me a little too) and how their friendship sustains me. Because it’s not possible to thank you guys enough. 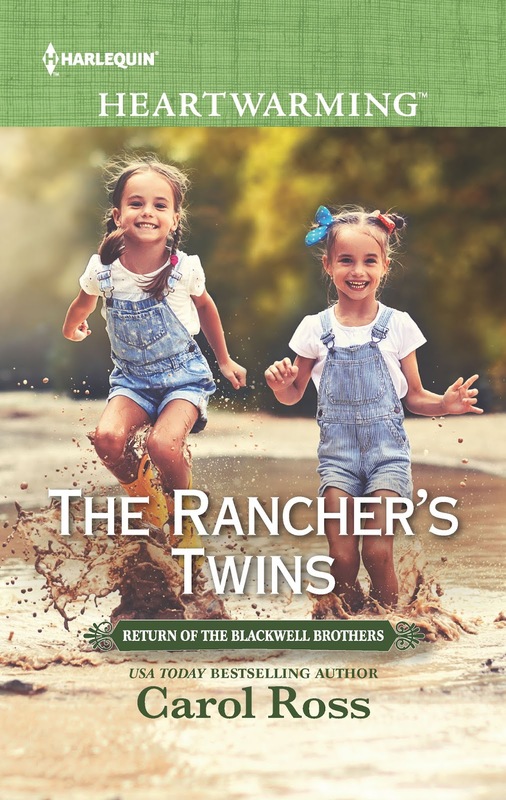 Here’s a peek at The Rancher’s Twins (book one) and the Montana ranching world the five of us created for the Return of the Blackwell Brothers series. Lydia couldn’t speak past the emotions constricting her lungs—anger and sadness and disappointment, and yes, there was a little fear there, too, because what was she going to do? Where was she going to go? But way beyond that, and so much more painful, was how was she going to leave the girls? She had so much she wanted to teach them, do with them, see them accomplish. She wasn’t ready to say goodbye to them or to Jon. Hot tears flooded her eyes. Her voice was a breathy whisper. Then his lips were on hers and Lydia melted against him. She was struck with the thought that he kissed like he did everything else. He was confident, bossy and so expert at it she could barely stand it. When he moved like he was going to pull away, she slipped one hand behind his neck. He groaned against her mouth and kissed her again deeply. After not nearly long enough he ended the kiss but stayed where he was. Cheek resting against her temple, Lydia liked how he sounded as out of breath as she felt. Angling his head, he trailed his lips across her cheek to her neck. He paused and she could hear him inhale a deep breath. Shifting, she hugged him tighter and he made a sound like a cross between a growl and moan. Urging his lips back to hers, she kissed him this time. And for a moment, Lydia glimpsed a world, a feeling, she’d never dared dream existed. 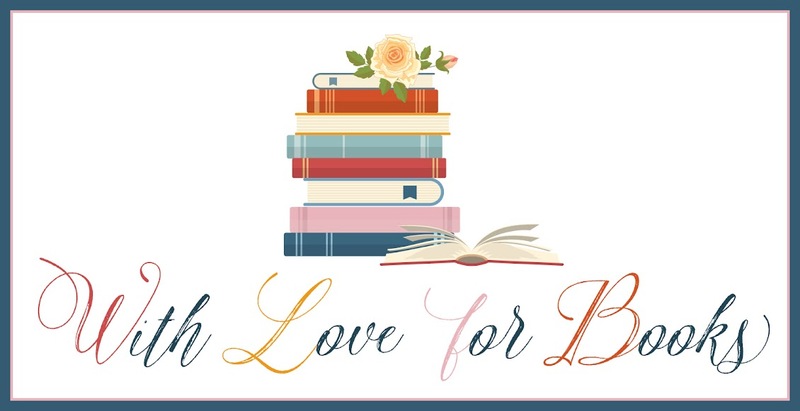 One very lucky reader of With Love for Books will receive a $10 Amazon gift card and a digital copy of The Rancher's Twins by Carol Ross. The Rancher's Twins sounds like a wonderfully written, engaging romance and a great start to a new Harlequin Heartwarming series. 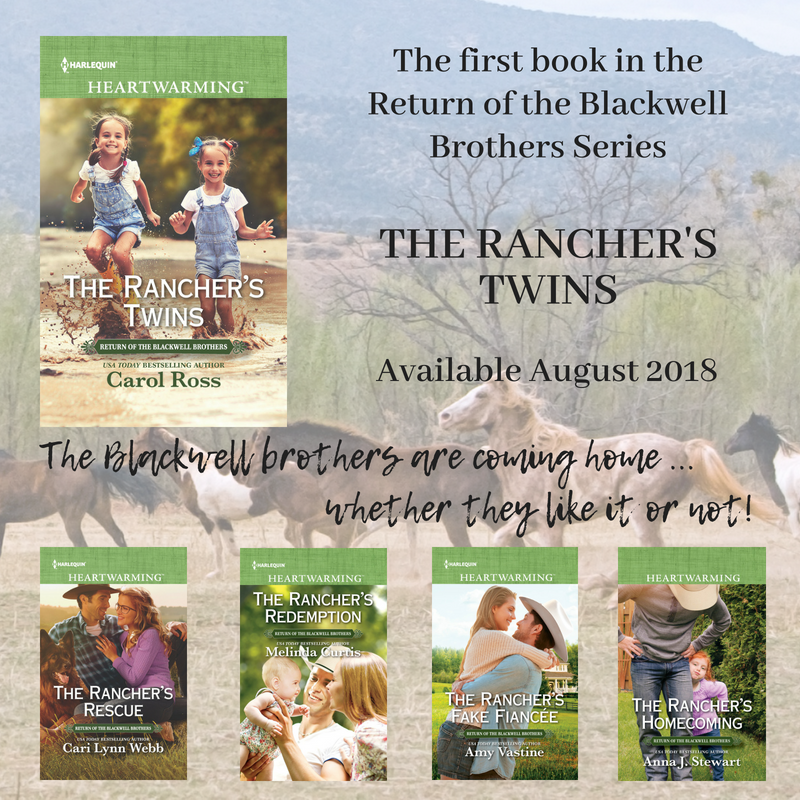 Being a twin myself, novels about twins are especially interesting to me and I love the idea of this romance that blooms on a ranch. Nice brings some child hood memories to many. This sounds like a sweet, family-centered story! 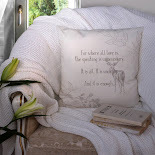 What a sweet lovely summer read! These all sound like great reads. Nice series. That has got to be the cutest cover I have sen in a while. Looks like this will be a sweet story. Such a sweet cover, and the story of this woman coming into the lives of the girls and their dad sounds really good. It sounds an interesting romance book! Thanks for hosting. This looks good. Lovely looking books, thanks for the competition. I loved your guest post. I also read the dedication at the front of a novel before I read the book. It's very amusing now to hear about Jaret and Janet but it must have been devastating at the time. I hope Jaret was understanding about the unintentional faux pas. Love the Excerpt, thanks for sharing. The kids on the cover are too cute! This sounds like the perfect antidote to the twisted thrillers I've been reading lately. Love the cover, why do I always start with that lol? Oh well, they are so cute. But reading how naughty they can be, it'll be to see how Lydia copes with them as well as a different lifestyle. Sounds an interesting reda with more than "romance" as the subject. Thank you for the competition, from the excerpt it looks like a great read! What a sweet cover. Bet they're a handful though! Fingers crossed! Thank you, Carol, for a chance to win your prize. It's very interesting to read how Lydia overcome the challenge in the ranch, how she and Jon develop and the chemistry tension between them. I also find that dedication page is interesting. Thank you for the review, guest pist, excerpt and giveaway.